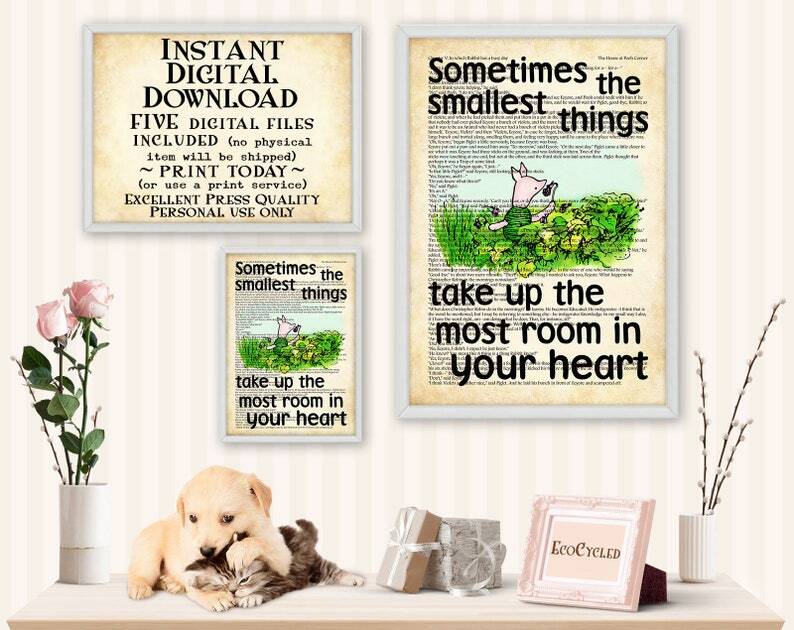 "Sometimes the smallest things take up the most room in your heart" with Piglet from Winnie the Pooh. A wonderful printable classic Pooh nursery or best friend literary gift for a book lover that you can download and print right now. In the background is part of the book, like a book art print.